The rapid changes in the world of web require websites to create an engaging experience in order to succeed. We are always on the lookout for efficient and cost-effective solutions which best fit your requirements. You can make the best of lucrative opportunities and advantages which come with the custom web development services which are offered by Misha Infotech. We offer web services which fit any scenario. With high levels of innovation, our experts will create unique applications which generate leads. We will take steps to integrate business systems with websites. 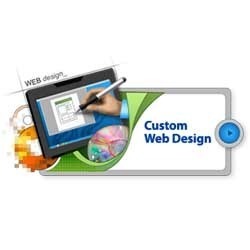 Hiring a custom web design and development company is an important decision. You can rely on the turn-key solutions which are offered by our company. Our crew delivers results which exceed the industry standard and help us stay ahead in the league. We will help you to bring your custom solutions to life. Our primary aim is client satisfaction. Make the best of the years of experience which our experts have gathered in the industry. Before embarking on the custom web development services, the experts will understand the nature of your business and goals. After a detailed analysis of your business requirements, we will formulate an effective web development plan. We at Misha Infotech are trained in helping you automate your business process. Misha Infotech leverages the innovative ideas and unique designs. We follow complete strategy, marketing trend, architecture, extensive resources and latest technology for your success. Our expert professionals leverage their all-embracing expertise, experience and technical ideas to design a unique platform. We intend to connect you to your targeted customers using tremendous technical marketing tools. To meet the business challenges and stay ahead among the competitors, we help you make the strong presence in the market. Making the web presence is the first step to reach the customer and boost your business. Misha Infotech is a leading customized Web development company, providing web development services with the essence of proficiency and latest technology. Our expertise makes us efficient and competent enough among the competitors, thus helping you to reach the next level. We believe in giving our best through consistent effort. Our cost-effective web development services would certainly help you achieve the customer target. Misha Infotech also proposes to provide custom web development solutions to meet the customized solutions as per the client’s needs. We proffer Custom Website Development Services are using core competency like ASP, PHP and .NET. We deploy 24*7 assistances along with flawless website maintenance solutions. Misha Infotech is a leading Offshore IT Consulting and Website Development Company in India. We are a popular software development company outsourcing IT services to the global clients. We at Misha Infotech, offers Website Design And Development Service, Mobile Application Development Service, Custom Software Application Development Service, Web Development Service, and Digital Marketing Service. Our professionals are highly technical and possess great expertise in delivering high quality technical support. Our proficiency in our tasks makes us stand apart in a mist of the crowd. Our professionals use extensive tools to serve our clients that include Programming languages- Java, PHP, HTML, CGI and ASP development, Databases- Microsoft Access, MSSQL Server and Oracle to provide services like E-Commerce Website, PHP/ASP.NET Applications, Magento, Drupal and CMS. Misha Infotech supports its client to develop with extensive technicalities and great professionalism. Our experts are technically equipped and experienced to provide ultimate customer satisfaction. Misha Infotech is experienced to provide custom-made technical solutions to support business, partners and clients to enhance their ROI.